Your future is at Luther ! 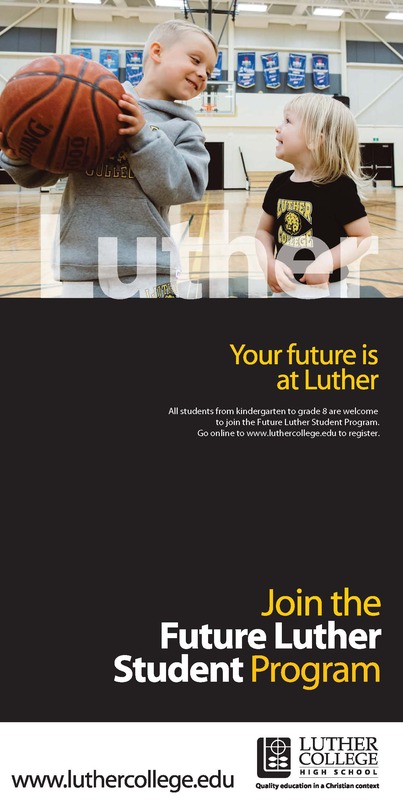 The best way to preview Luther College High School and meet other students who want to attend Luther is to join the Future Luther Student program. Please call 1-306-791-9174 or email admissions@luthercollege.edu for more information. To join the program, fill out the form below. New membership cards and a new schedule of events will be mailed out in August 2019. How did you hear about Luther College High School program?